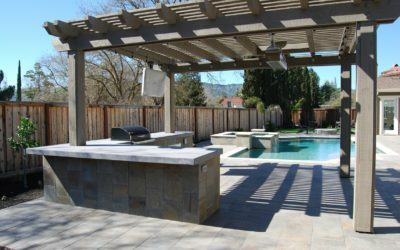 Hawkins Pools share construction projects in-progress including swimming pool design and construction, pavilions, BBQs, arbors, outdoor fireplaces, and others in Danville, Blackhawk, Alamo, Lafayette, San Ramon, Walnut Creek and other locations. 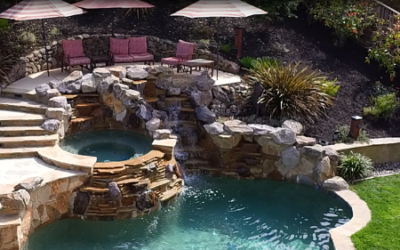 Get ready for Summer plunge. 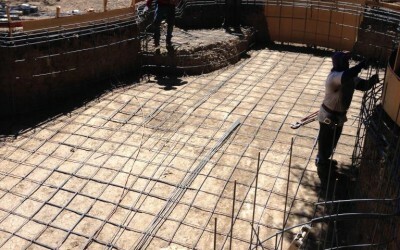 Start your swimming pool project now! 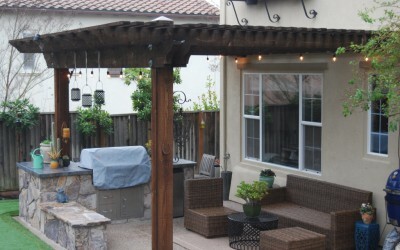 Swimming pool and spa design with pavilion and outdoor BBQ in Walnut Creek. 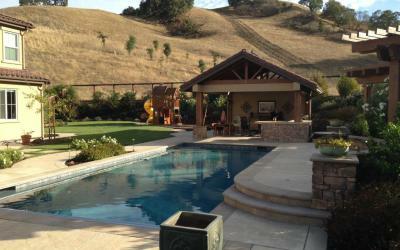 Hawkins Pools recently completed a carefully designed swimming pool project with arbor, outdoor BBQ and spa in Danville. 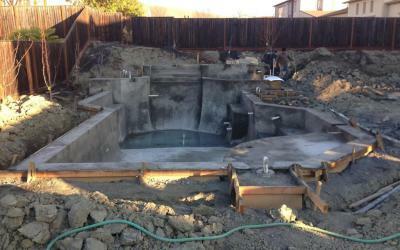 New swimming pool with spa in Walnut Creek with concrete surround and natural landscaping. 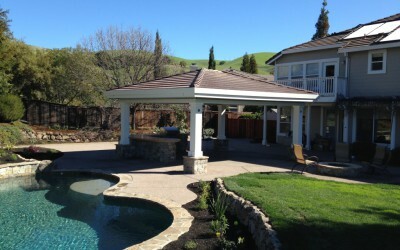 Hawkins Pools team completed a new swimming pool and spa for a home owner in San Ramon. 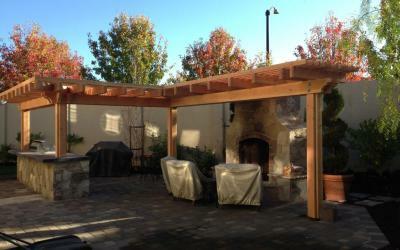 Outdoor Kitchen and BBQ with Arbor for a home in San Ramon. 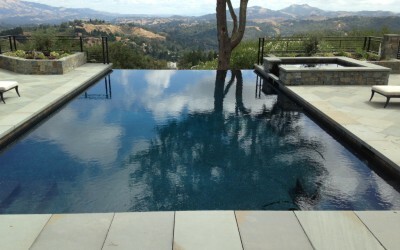 Infinity swimming pool design in Lafayette with a view. 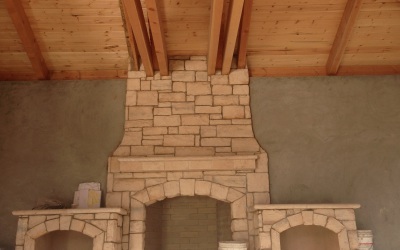 Arbor, BBQ and outdoor fireplace for outdoor living. 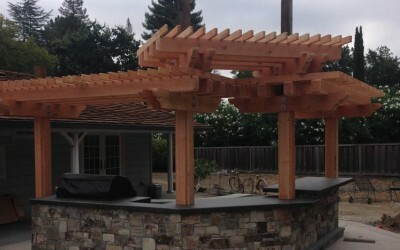 New arbor with BBQ and outdoor kitchen construction for a home in Danville by Hawkins Pools. 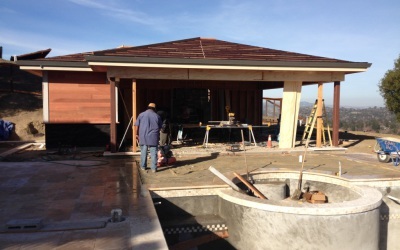 Swimming pool pavilion construction project in Danville accompanying a new swimming pool. 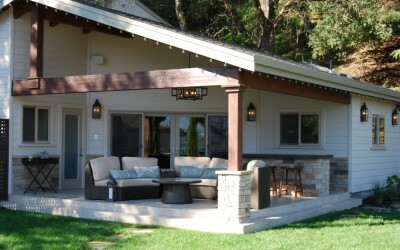 Hawkins Pools specializes in swimming pool pavilion design and construction with fully engineered open air structure.